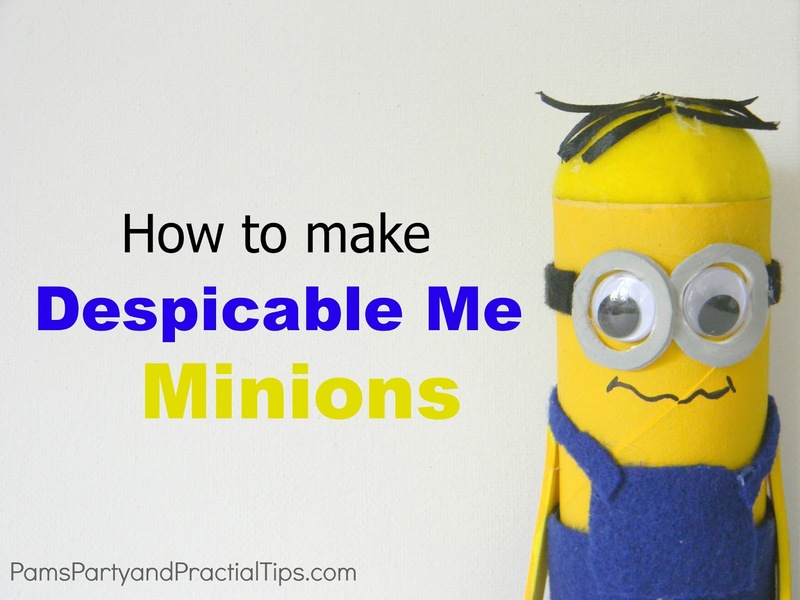 Today I am going to have a post that is a little bit different than I normally share. I am part of something called A Tour Through Blogland. Hopefully you will learn a little bit more about me and my blog, and meet a few other bloggers along the way. 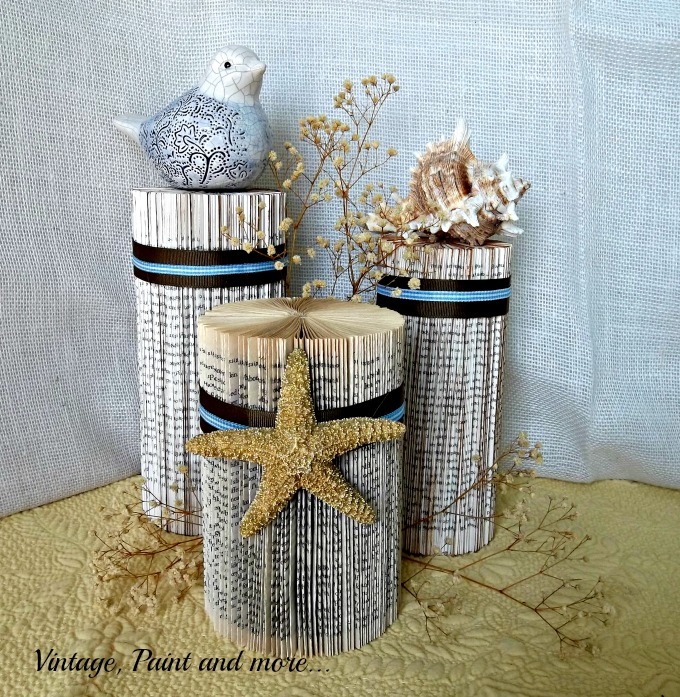 Before I get started with my part of the tour, I want to take time to thank Cathy of Vintage Paint and More for her very nice post sharing about my blog. If you have not met Cathy she is a retired nurse who is being creative in her retirement. She loves to paint, sew, craft, garden, cook, thrift, travel and play with her 8 grandchildren. She has shared some beautiful wreaths and other home crafts, so be sure to go check out her blog or Facebook. Now a little bit about me and why I blog. 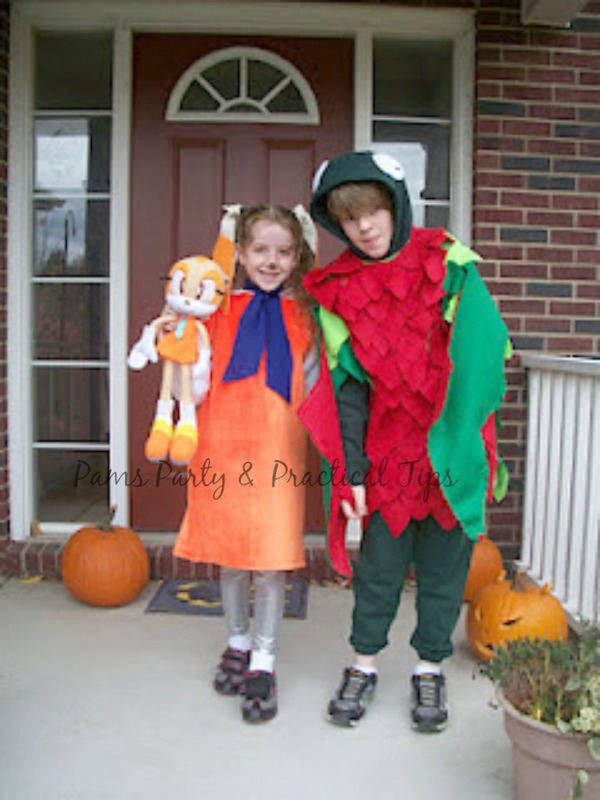 I have always enjoyed creating things for my kids. I would throw them themed birthday parties, make their Halloween costumes, and create fun dishes with them in the kitchen. As they have grown older, I wanted a place where I could share all of my creative ideas, while being able to stay home with them as well. I have not worked outside the home since 1995, and with our schedule logistics working 8-5 would be difficult, so blogging seemed like a really good option. I have been blogging for five years now, and I have to say I still love it. 1) What I am working on.. I am actually working on several things right now. This time of year is very busy for a party/craft/recipe blogger. I am working on two recipes with my kids. Yesterday Kara and I were making a yummy dessert, but it go to be late and way too dark to take good pictures, so we are finishing up and taking them today. I hope to have that post up in the next day or two. Kyle is promising to share another recipe post that he has been promising for weeks. Hopefully that will be shared this week as well. I will also be sharing a new member of the pumpkin gang very soon. I am very excited about him, and I think you will be too. Also in the works are four party themed ebooks. They are still in the very early stages, but I have the concepts and all of the themes selected. Now I just need to find the time to write them, and put some of the projects together. 2) How does my work differ from others from its genre? There are some big time party bloggers that share gorgeous high end parties that are styled and come with a big price tag. While they are a lot of fun to look at, most people can not afford to throw parties to that degree. 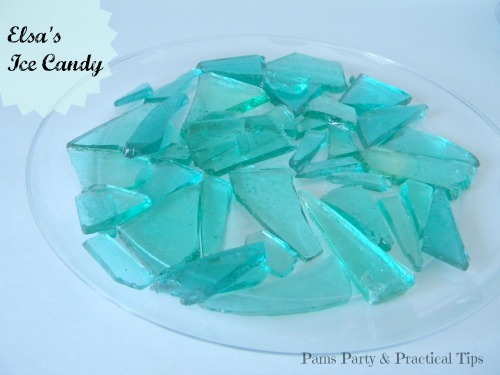 I like to give ideas and tips that everyone can use to throw a nice party, including those who are on a very tight budget. The recipes that Kyle (Cooking with Kyle) and I share are family friendly, and are always served to our own family. 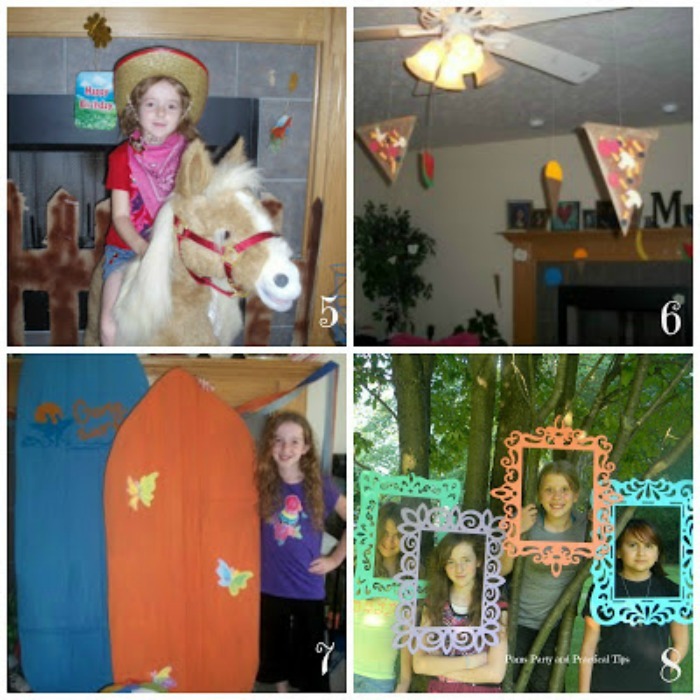 Kara's crafts are truly crafts for kids that are made by a kid. 3) Why I create what I do? I have been making things my whole life. I even got a degree in college that specialized in costume design. I am in my element when I am creating things. I also have a very hard time spending a lot of money on something that I can make myself. Creating things from nothing makes me very happy, and if I was not able to do that I would be very bored. 4) How does your writing/creative process work? I don't think that it will come to a surprise to you that creative people are not very organized. They say that creative people tend to have messy work spaces. This would be very true for me. My craft room has not been fully organized and clean in the 11 years I have had it. The rest of the house is not the cleanest either. I am usually too busy creating to clean. I have a lot of my ideas in notebooks, and work on projects when I can. Some days my children have to come first, and the creating second. When I do have a deadline I always finish on time, but I may be working on it until the last minute. I know my way of doing things is not for everyone, but it works for me. Now I am going to introduce you to a couple of bloggers who I have met through blogging groups who I think you will enjoy meeting. I met my friend Kim from Kandy Kreations at least three years ago. We hit it off, probably because we are so similar. She has teenagers, I have teenagers, and we both love to make our own parties. One of my very favorite of her parties is her Alice in Wonderland party where she made this Tea Pot Chandelier that incredibly awesome. With a name like Kandy Kreations you would think that she specializes in candy, and you would be right. I just love these Angry Bird Candy Cones that can be filled with candy. She sells chocolate covered Oreos, candy bar wrappers, printables, and a lot more in her shop. In addition to her blog, you can also find her on Facebook. Another blogger I want to introduce you to is Aleshea from Glitz N Grits. While I have not know her as long as I have known Kim, I really like her. She is a southern girl who has lived in Texas her whole life. She loves her southern food and shares yummy recipes from her southern favorites on her blog. 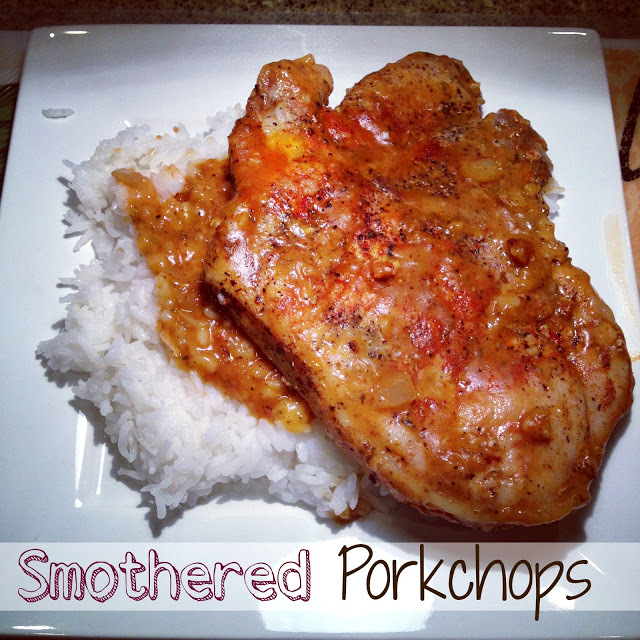 This recipe for smothered porkchops caught my eye. 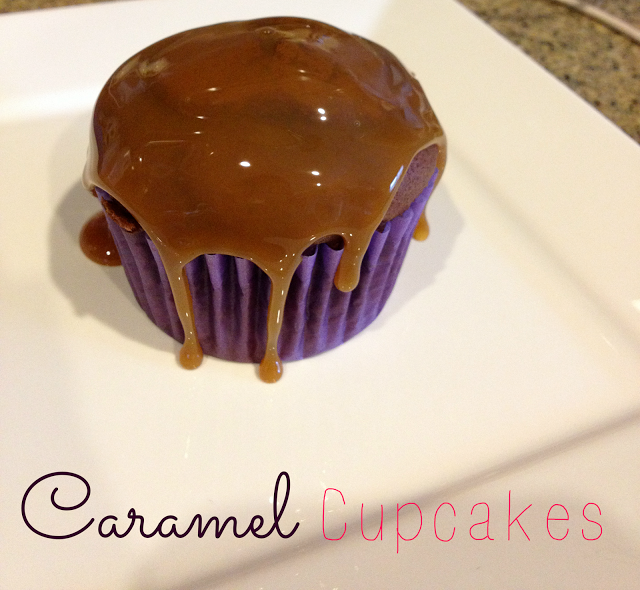 She also has recipes for yummy desserts like this one for Caramel Cupcakes. Yum!! 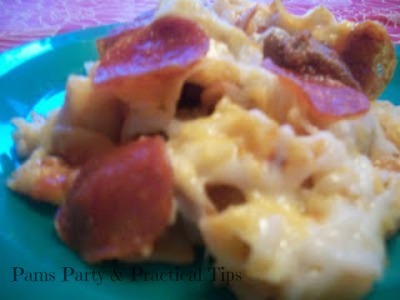 So if you are looking for some delicious recipes be sure to stop by Glitz N Grits on the blog and on Facebook. Next week Kim and Aleshea will be sharing their own posts with more about them and their favorite bloggers. I hope you enjoyed this Tour Through Blogland! I agree! This has helped me learn much more about my blogging friends. Love the tea cup chandelier. Fun! The Angry Birds cones are cute!